This is the first of five modules we offer to provide information and education on the various types of 1031 Exchanges. You’ll learn basic terms, concepts, risks, and time restraints associated with Exchanges. 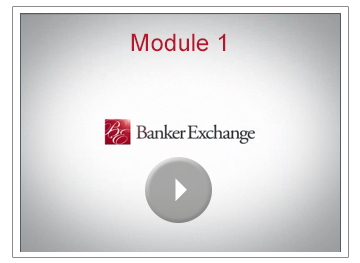 Watching these modules will make you a more knowledgeable, confident participant and help guide you and your clients through the process of a 1031 Exchange. If you find Module 1 beneficial, Modules 2-5 are available on request. If you would like more privileged access to modules 2 through 5 simply click the button below to request a login. Describes the different properties that can be exchanged under the guidelines of the IRS Code & regulations. Explains how the assistance of a QI can help you work through the exchange process. Illustrates the danger zones you should recognize in order to avoid taxable gain in an exchange. Provides a timeline for the reporting requirements and documents that must be filed for an exchange.